As we say goodbye to another year...we look back at what this year has provided for us. Some good, some bad....and we look for a hopeful new year starting soon. Twenty-fifteen is about to end and we get to say hello to twenty-sixteen. I hope this year brings a lot of great joy and happiness as the past year was a rough one for the most part. Before the clock strikes midnight and I have my champagne glass in head and ready to get my New Year's kiss.... let's look back at the most popular posts that happened here on my little blog. Well, there you have it. 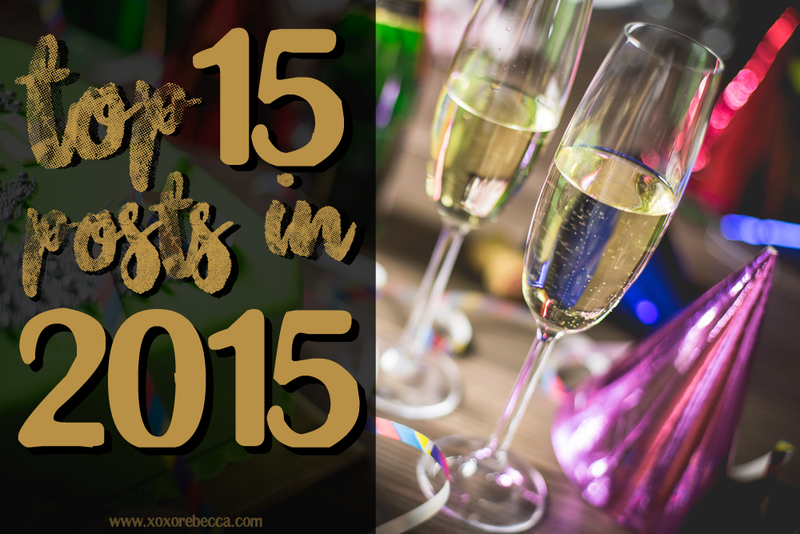 The fifteen most popular posts from this year. I'm honestly shocked by most of these to tell you the truth. I had no idea some of these we so popular this year. I was expecting a difference outcome, but I guess the blogging gods have spoken and this is what it is! I'm excited what next year's list will be. Happy New Year everyone! Eat, Drink, and Be Merry in 2016 !!!! !